Upon arrival to İstanbul meeting us and transfer to the hotel. After check- in the hotel your tour starts. 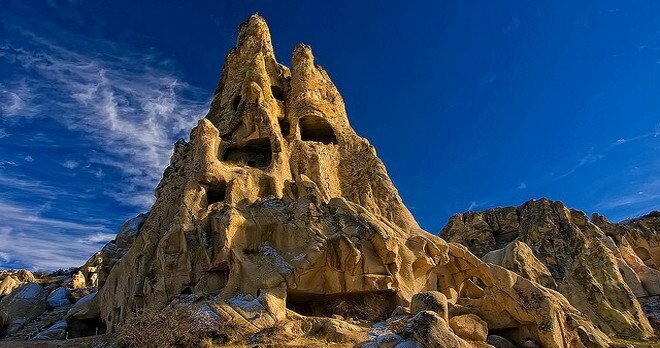 Turkey is like a cradle of civilizations that you can find a chance to discover and see the art and prints of these civilisations in your 4 days Tour that covers İstanbul, Cappadocia, Olympus. The First day in İstanbul: Upon your arrvial to İstanbul, you will be met and transfferred to your hotel. You will be picked up from your hotel at 09:30. This tour includes a guided tour of Golden Horn, a visit to Spice Market & Private Cruise Boat trip on Bosphorus water channel. At the End of the tour, you will be dropped to your hotel. Istanbul: you will be picked up from your hotel at 09:30. You will see Old city -Sultanahmet area walking tours visiting Hippodrome and Blue mosque, Hagia Sophia Museum & Topkapi Palace and Grand Bazaar. At the End of the tour, If you want to travel by bus you will be dropped to Bus Station or If you want to travel by plane you will be transferred to Airport. 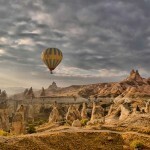 The first Day in Cappadocia: You will be met and transffers to your hotel. you will be picked up from your hotel at 09:15. The first stop is Göreme Panoramic view. You will see fairy chimneys. The second destination is Derinkuyu underground city which is 3500 years old. You will go 8 floors down. The third destination is Ihlara Valley. You will hike about 3.5 km. At the end of the valley, you will have lunch in a village. After lunch, the next stop will be Yaprakhisar Panorama where you will see conical shapes which are similar to ‘Star Wars Movie Set’. And then you will be taken to Selime Monastry. You will comprehend monastic life better when you get there. After Selime monastry you will see Pigeon Valley. At the end of the tour, you will see onyx factory. (volcanic stone workshop). Your tour will finish at 17:30 and you will be dropped to your hotel. Your tour will finish at 17:30. At the End of the tour, you will be dropped to Bus station.